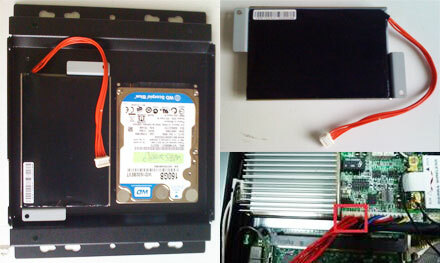 This battery-kit (Neosonic-Polymer 800mAH) for FleetPC-4/FleetPC-5/FleetPC-7-B/FleetPC-9 (not FleetPC-5-IP65) is connected with only one cable to the mainboard of FleetPC-4/FleetPC-5/FleetPC-7-B. The battery gets automatically charged by the system. On power shortage, it can leave the the Car-PC running for 10 minutes.